Did you know we're a nonprofit with a variety of community outreach programs? You can support our efforts and have yourself a groovy time at our Casino Night on May 2. WHEN: Friday, April 26th and extending for eight shows through Sunday, May 12th. Performances are Friday and Saturdays at 8:00 and Sundays at 2:00pm. TICKETS: $20.00 with a discounted price of $18.00 for seniors over 65 and students under 18. Tickets may be purchased online at www.chestertheatregroup.org. For more information, visit the CTG website at For more information, visit the CTG website. Home of the Great Pecan is a hilarious, quirky southern comedy—think Greater Tuna meets Plan 9 from Outer Space! Set in a small Texas town in the 1980's, mayhem ensues when Seguin's prized landmark—the Great Pecan—is stolen! A minister on the make, aliens, a prom queen on the verge and a philandering fiancé are just a few of the wild cast of suspects. The playwright,Stephen Bittrich, has many published plays, and for over 15 years has worked primarily with The Drilling Company, on the Upper West Side of Manhattan, where Pecan had its first workshop production. There he's had 13 new short plays and 2 full-lengths produced and he's also gone on to develop 4 new full-length plays: The Acquisition, Even, Healer, and Hole. His play Healer has been optioned for a possible independent feature film. The Chester Theatre cast of Home of the Great Pecan includes Lily Boyle in the roles of Priscilla/Billy/Chucky; Will Palazzolo of Wharton in the roles of Johns/Francio/Les Glenehinkel; Lynn Langone of Cranford in the roles of Tammie Lynn/Mrs. Rottweiler; Steve Nitka of Hackettstown in the roles of Ed/Reverend Pat; Carol Holland of Long Valley in the roles of Sher.Bart/Deke/Mrs.Bart/Kitty; Dale Monroe of Morristown in the roles of Greeley/Deputy Diggity; and Jill Bormann of Morristown in the roles of Rosy/Sonya. Use the code WITHERS to receive $3 off any full-price adult ticket. A quiet comedy about a young couple in the aftermath of a miscarriage. While Emma is still in the hospital, she and Kip try, with the help or interference of his sister, a physician assistant and an insightful older patient, to piece together what their relationship has been and what it still might become. 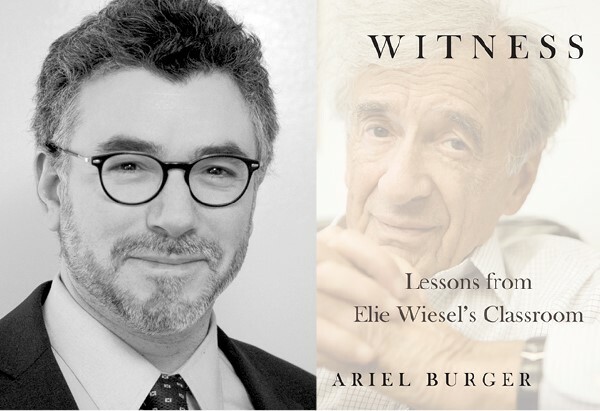 WHEN: Sunday, April 28, from 2:00-3:00 p.m. The library is wheelchair accessible. Parking is available on the street and in the lot behind the library building on Hoym Street. For directions and further information, contact the Fort Lee Public Library at 201-592-3615. 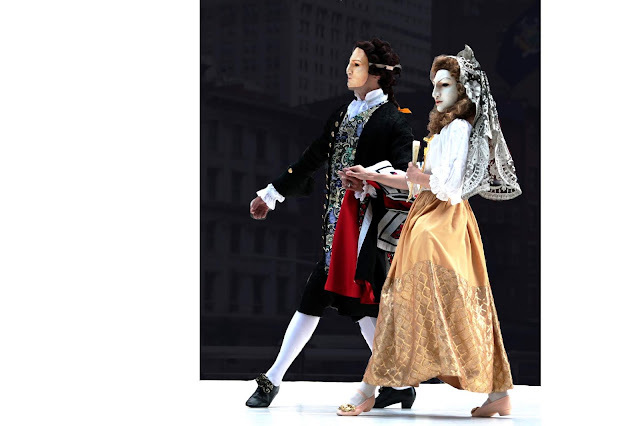 BALAM Dance Theatre (BALAM) premieres its new Out & About series program, Dances of Love: East and West, an entertaining, family friendly program. BALAM, a New York City-based company, offers a new vision of contemporary dance by combining diverse cultural dance styles from around the world and time periods with Balinese theatre. This latest cross-cultural program features these artists from Indonesia, Japan and the United States: Nani Devi, Toshinori Hamada, Yumiko Niimi, Carlos Fittante, Robin Gilbert and guest cellist Lisa Terry (left), Artistic Director of Parthenia, A Consort of Viols. 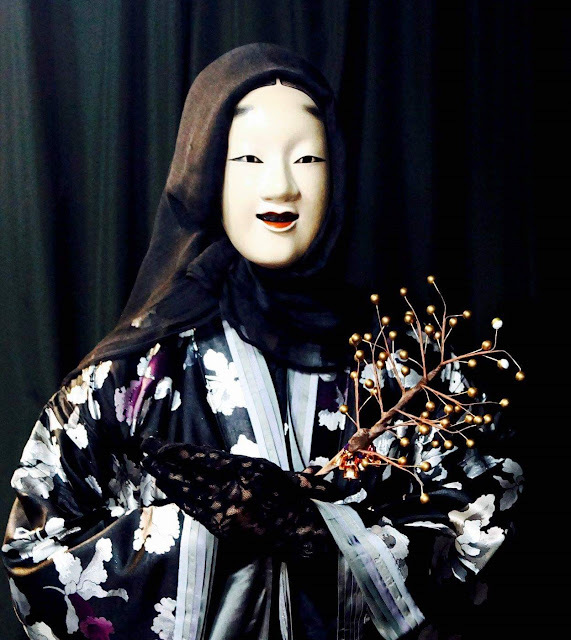 Performers will dance in beautiful vibrantly colored traditional and fusion costumes. Founded by choreographer and movement researcher, Islene Pinder, BALAM Dance Theatre offers a new vision of contemporary dance that is rooted in the dazzling opulence and magical aura of Balinese theatre. The New York City-based dance/theatre company creates a unique entertainment experience that has universal appeal. Audiences of all ages and backgrounds enjoy BALAM’s innovative movement alchemy where dynamic athleticism, detailed skills, and movement techniques from around world are fused and enhanced by eclectic music, striking masks, vibrant costumes and fantasy stories. The company educates the community about dances and cultures throughout the world. Through its Out & About Series, free and affordable performances, workshops and creative events at the grassroots level are made available for families, children, students and community residents. BALAM has been featured at numerous festivals and venues including First Night New York; Lincoln Center Out-of-Doors; Jacob’s Pillow Dance Festival; Downtown Dance Festival; and has also appeared throughout the United States and internationally. The company has received praise from the New York Times and Village Voice, the Governor and people of Bali and the Indonesian Consulate of New York, as well as others. For further information, call 646-361-9183 or visit BALAM Dance Theatre on its blog, www.balamdancetheatre.blogspot.com, follow the company on Facebook, www.facebook.com/balamdancetheatre, and check for updates on Twitter @BALAMDance. WHEN: Sunday, April 28, at 7 p.m.
TICKETS: $10-$50 and are available at the orchestra’s web site or by calling 973-435-2906. 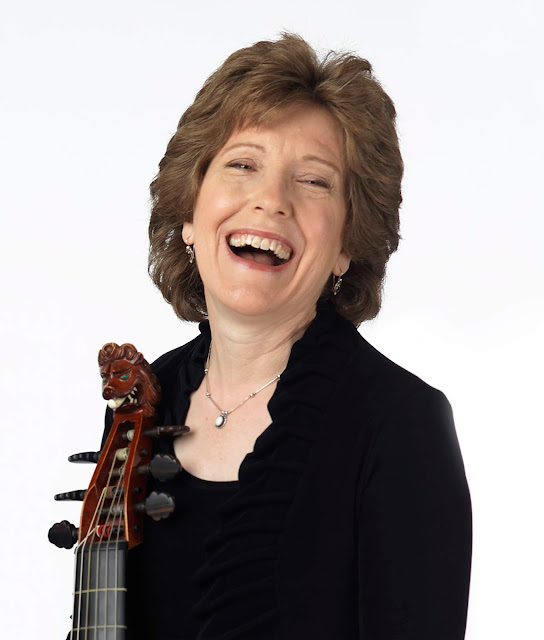 For its last concert of the 2018-19 season, the Montclair Orchestra will take its audience on a journey back to the Classical and Romantic Eras in France. The orchestra’s French Connection performance will include works by Haydn, Berlioz and Bizet. The program includes: Symphony No. 60 ‘Il Distratto’ by Joseph Haydn; Les nuits d’ete by Hector Berlioz; and Symphony in C by Georges Bizet. Il Distratto (the distracted) was written by the Austrian-born Haydn in 1775. It is based on music he wrote for a five-act play, Le Distrait, by the French poet Jean-Francois Regnard. Berlioz’ Les nuits d’ete (nights of summer), composed in 1841, was written to accompany six poems by another French poet, Theophile Gautier, who was a friend and neighbor of the composer. The orchestra will be joined for this piece by Yungpeng Wang, a baritone who has performed with the Metropolitan Opera, Chamber Music Society of Lincoln Center, and Pacific Symphony. The final work in the program, Bizet’s Symphony in C, was completed in 1855. The French composer was only 17 when he wrote it, at the time a student at the Paris Conservatoire. The Montclair Orchestra, now in its second season, is led by David Chan, concertmaster of the MET Orchestra. The up to 75-piece ensemble is made up of professional musicians from world class orchestras playing alongside student fellows from leading conservatories. The professional musicians performing with the orchestra include: Quan Yuan, violinist with the Metropolitan Opera Orchestra; Yevgeny Faniuk, principal flute with the Reading Symphony Orchestra and frequent guest member of the Metropolitan Opera Orchestra; and Harry Searing, bassoonist, who has performed numerous times with the New York Philharmonic and New Jersey Symphony Orchestra. The Montclair Orchestra is a developmental orchestra with fellowships for students from the top conservatories in the area including The Juilliard School, Manhattan School of Music, Mannes School of Music, Montclair State University’s Cali School of Music, and Rutgers’ Mason-Gross School of the Arts. ADMISSION: No charge but registration required at www.tbanj.org or by calling 973-994-2290. 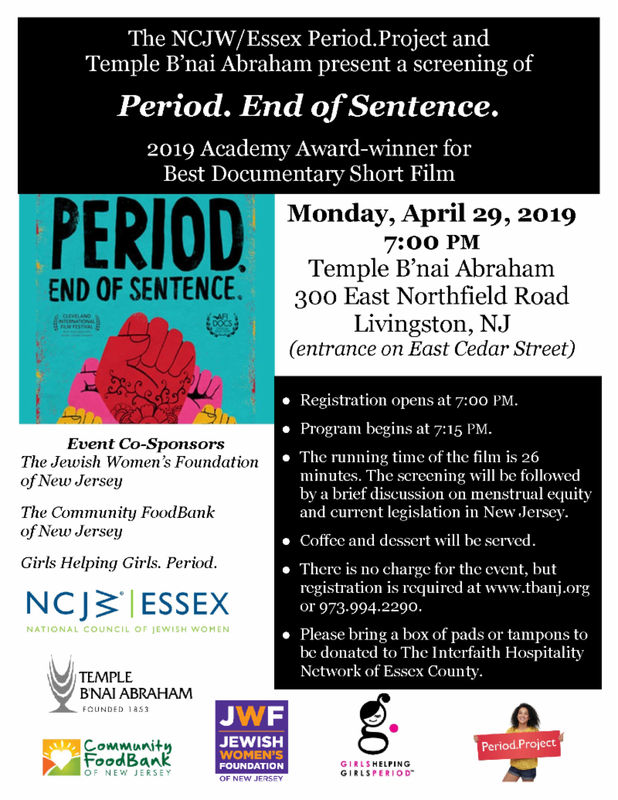 Screening to be followed by a brief discussion on menstrual equity and current legislation in New Jersey. Coffee and dessert. Please bring a box of pads or tampons to be donated to The Interfaith Hospitality Network of Essex County. Co-sponsored by The Jewish Women’s Foundation of New Jersey, The Community FoodBank of New Jersey, Girls Helping Girls. Period. and NCJW/Essex. 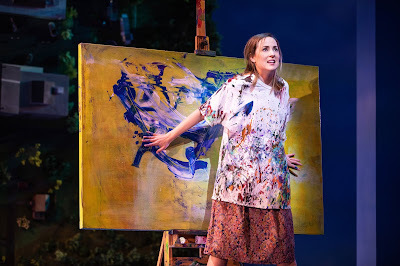 A musical about mental illness—and a quirky one, at that—doesn’t sound like it would fly, but Benny & Joon, now receiving its East Coast premiere at the Paper Mill Playhouse, succeeds mightily, way beyond its modest origins as a 1993 whimsical romantic comedy film starring Johnny Depp, Mary Stuart Masterson and Aidan Quinn. 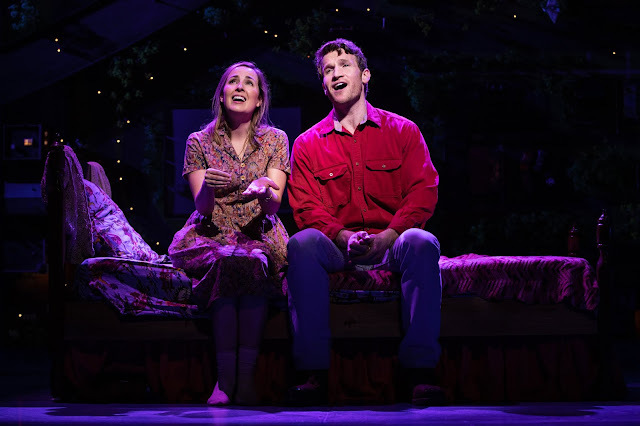 In the current version, music by Nolan Gasser and lyrics by Mindi Dickstein add an extra layer of nuance to this celebration of love in its various iterations: between parent-child, romantic partners and, above all, siblings. The result is a story that illuminates a difficult subject in a charming, endearing way. Life for thirty-something Benny doesn’t seem to count for much. For the past 15 years, since the tragic accident that claimed his parents, he has assumed the role of caretaker of his high-functioning schizophrenic, albeit talented artist, sister Joon, who requires round-the-clock care. Sacrificing a personal life, he associates with only the guys who work at his auto repair shop; romance doesn’t exist for him. When Joon wins Sam, an eccentric who emulates the antics of the great silent movie comedian, Buster Keaton, in a poker game with Benny’s friends, Benny agrees to let him stay a few days while he decides whether to find another housekeeper or place Joon in a group home, something he hesitates to do because he fears her reaction. As Sam and Joon fall in love and think of a future together, Benny must come to terms with the siblings’ changing relationship and his own needs and desires. The book, by Kirsten Guenther, portrays the effects of mental illness on patient and caretaker with a clear eye; we see the toll worrying about Joon all the time takes on Benny, the lonely life he leads and the upsetting effects of noise, hallucinations and a desire to harm herself has on Joon. The effect is lightened by the sometimes-droll situations the two experience and the love they have for one another. Sam’s eccentricities (among other things, he recites lines from films in character and announces the title and year the film appeared) often make us laugh out loud, but learning that, while sane, he escapes to movies to avoid verbal abuse and abandonment, our heart goes out to him. Guenther manages to give voice to these characters without being cute or icky. 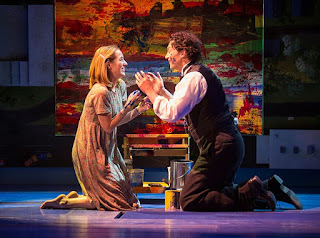 The offbeat quality of the play is enhanced by Dane Laffrey’s scenic design, a “map” of the suburb in which Benny and Joon live, with different houses lighting up as the action moves there. Lighting by R. Lee Kennedy conveys the passage of time while Kai Harada’s sound gives us a glimpse of what’s going on inside Joon’s head. Kudos too to director Jack Cummings III, who keeps the action humming along while allowing the emotion to shine, and Scott Rink, whose choreography is often surprising and always inventive. Claybourne Elders is terrific as Benny, protective to a fault, lonely, repressed. His love for Joon is evident in the sweet childhood song they sing together; his attention to her need for routine is telegraphed in a song entitled “This, This, This,” in which the two go over the schedule for the day. When he does connect with a woman his own age—Ruthie, the waitress/actress Joon has fixed him up with (played with warmth by Tatiana Wechsler)—only to be overcome by his responsibilities to Joon, we ache for him. And when he finally faces his feelings for his late parents and the situation their accident has put him in, we feel the relief emanating from him and see a way for him to heal. 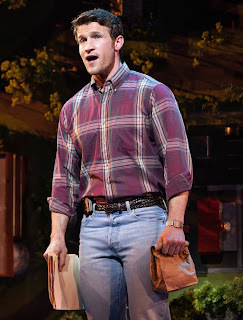 But it’s Bryce Pinkham’s Sam who steals the show. 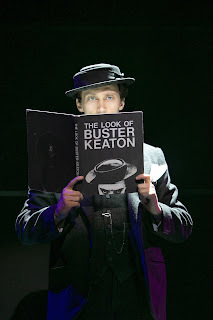 As the first person we meet, strolling across the stage like Buster Keaton (he’s even wearing the actor’s porkpie hat and black suit), he sets the stage for the whimsicality and eccentricity that follow. Performing a ballet on roller skates while grilling cheese with an iron, dancing and juggling videotapes with the video store owner, and spouting lines from old movies, Pinkham is a master of physical comedy. But it’s not all pratfalls: He lets us see Sam’s wounded soul and need for love and understanding. Very able support is furnished by Colin Hanlon (Mike), Paolo Montalban (Larry), Jacob Keith Watson (Waldo) and Natalie Toro (Dr. Cortez/Mrs. Smail), all of whom sing and dance very well. If you’re looking for big musical and dance numbers, Benny and Joon isn’t for you. But if you seek a heartfelt play with music and plain-spoken lyrics that tackles the hard problem of mental illness, performed by a cast of talented actors who can really sing and dance, you won’t want to miss Benny and Joon. 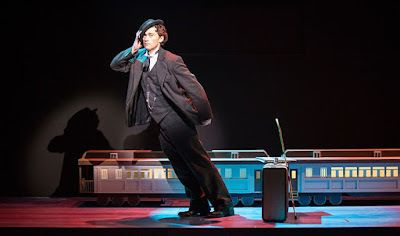 In the past, the Paper Mill Playhouse has been known for its big productions of Broadway musicals; it’s a real treat for a theater-loving audience to experience something new in tone, execution and subject. 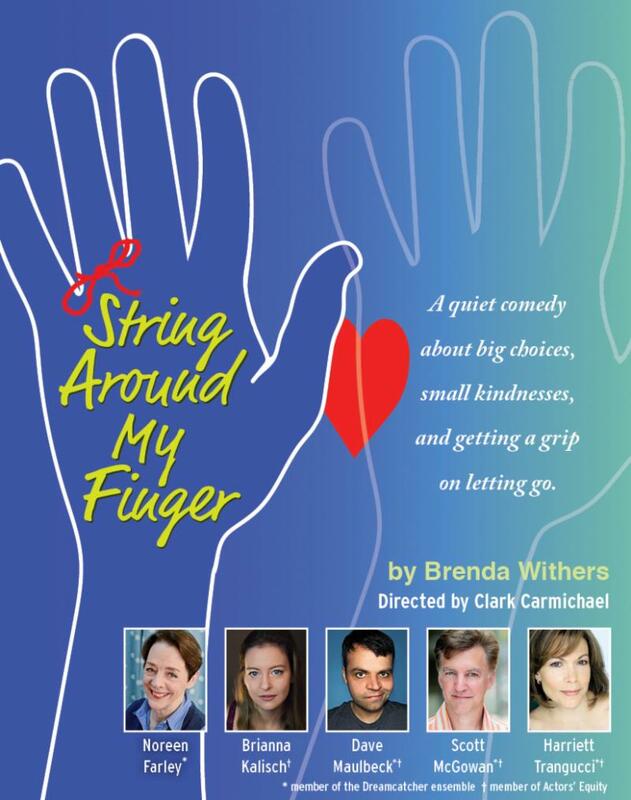 This charming, endearing show will enchant you. And take the your teenagers, too. It’s a great way to talk about mental illness and responsibility with them afterward. Benny and Joon will be performed at the Paper Mill Playhouse, 22 Brookside Drive, Millburn, through Sunday, May 5. For information and tickets, call the box office at 973.376.7676 or visit www.PaperMill.org. WHEN: from 7:00 PM-9:00 PM on Sunday, May 5 and Sunday, May 12; possible callbacks on Monday, May 13. 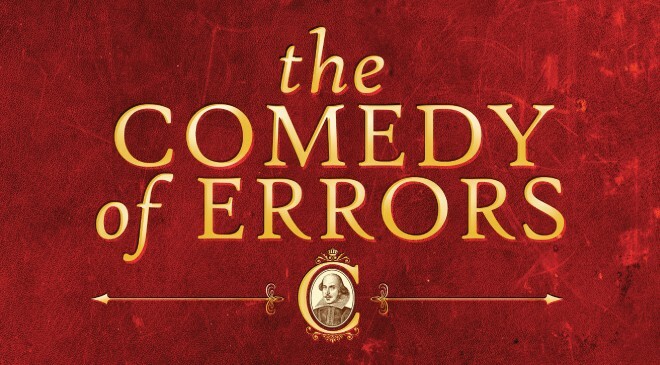 Come audition for a rollicking production of William Shakespeare’s The Comedy of Errors to be presented as part of Trilogy Repertory’s Plays in the Park program. The show runs July 11-13 and July 18-20 (all performances begin at 8 pm) at the Pleasant Valley Park Amphitheater in Basking Ridge. These are open auditions for all adult male and female roles, and no prior experience is required. Characters range from age 20 to age 60+. Readings from the script will be provided. If you have a brother or friend who looks like you, bring them along to your audition, as this hilarious play is based on the many complications and mistaken identities that take place when two sets of long-separated twins show up in the same place at the same time. Contact Director Hank Barre at 908-872-6247 or via email at hbarre@aol.com with questions. 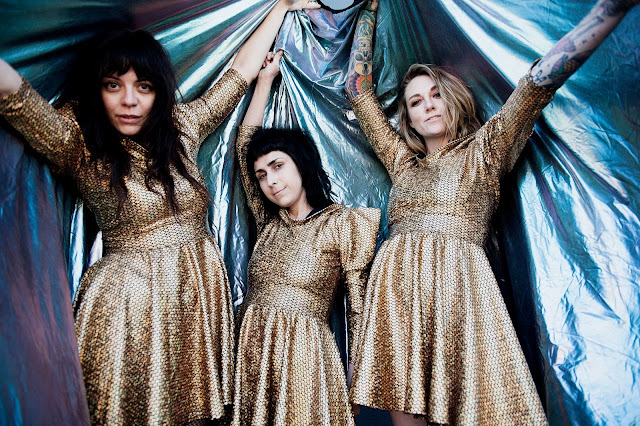 Following up on their recent hard-hitting single "F The NRA," The Coathangers continue to assert themselves as one of the most vital and truth-seeking punk bands around with their new track "Step Back." Taken from the forthcoming album The Devil You Know, out March 8 on Suicide Squeeze, the band explains that "Step Back" is a "reflection of the pain and helplessness that comes with loving someone who is lost in the fog of addiction. We have all been touched by the effects of drug and alcohol issues, which often leave us feeling bewildered. Lurking in the shadows all around us, addiction is the monster that has taken too many people we love away from us. This song is a plea to get them back." The Devil You Know is available to pre-order here. WHEN: on view April 22 through June 14; opening reception, Friday, April 26, 5:30-7:30 p.m. Gallery hours Monday-Friday,10 a.m.-5 p.m.
To attend the opening reception, phone (609) 924-4646 or rsvp@drgreenway.org to register. Original digital prints of this work, signed by both Tosetti and Fiorentino, may be purchased, supporting D&R Greenway’s mission. Both guests will share personal perspectives on Babe Ruth, 7-time World Series champion. Multi-media artwork, involving Sailing, swimming, fishing, strolling, kayaking and beyond, is being exhibited by Hana Aviv (right), Lisa Budd, Kate Leigh Cutler, Mike Dziomba (bottom), Bernie Hubert, Sean Kane, Jack Quinn, Laura Renner (below) and Ewa Zeller. Keep an eye out for two vintage gloves from the 1920’s—one bearing the acrylic portrait of Babe Ruth; the other featuring Yogi Berra. Tosetti wasn’t born when her grandfather died in 1947. She has spent significant time reading about him, lifelong. She feels she knows baseball’s “Sultan of Swat” better than if she had actually grown up in his presence. “I have been fortunate to meet people who knew Babe. They say I have his mannerisms. Some go so far as to say that meeting me is like meeting him. I know he hit home runs. But, as his granddaughter, I’m more interested in how he felt when he did that.” Tosetti is looking forward to answering questions about her grandfather. James Fiorentino joined the D&R Greenway board after his highly successful exhibition of endangered wildlife art at the Johnson Education Center, which went on to a nationwide tour, ending at the Salmagundi Club, “a center for American art since 1871.” James increasingly paints endangered animals, in addition to his fame as portraitist of sports figure. “I love being able to connect with people who appreciate both the land and sports,” Fiorentino declares. “Babe simply means baseball,” he asserts, having played this sport at Drew University. “As a Yankee fan there is no greater legend -- a great person off the field as well as on.” Having met Babe Ruth’s granddaughter more than a decade ago, during induction weekend at the Baseball Hall of Fame, Fiorentino is delighted that she will share the unveiling of “The Great Bambino” at the D&R Greenway reception. 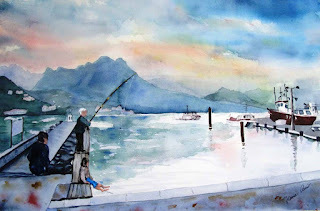 His 11-by-14-inch original watercolor is available in a limited edition of 100 giclees, [digital prints], of the same size, sporting Tosetti’s and Fiorentino’s signatures. At $150 each, $50 will support D&R Greenway’s preservation and stewardship mission. 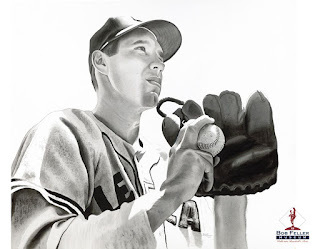 James Fiorentino met Joe DiMaggio, when the artist was fourteen, signing his portrait of “Joltin’ Joe.” A year later, at age 15, Fiorentino was the youngest artist featured in the National Baseball Hall of Fame and Museum. Fiorentino’s likeness of Reggie Jackson was hung beside portraits by Norman Rockwell and Andy Warhol. Fiorentino’s Roberto Clemente portrait was acquired by the museum for its permanent collection. For decades, the artist has created scores of baseball cards for Topps, Upper Deck and Kellogg. 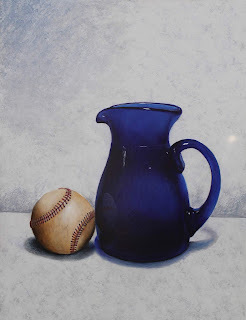 His skill has been honored with commissions from Ted Williams and Cal Ripken. Other greats who turned to James Fiorentino for his unique artistry include Yogi Berra, Mickey Mantle, Muhammed Ali, Congressman John Lewis, Buzz Aldrin, Mikhail Gorbachev, Desmond Tutu, former New Jersey Gov. Tom Kean and hundreds of contemporary athletes. His current emphasis on endangered species in our country brought Fiorentino to D&R Greenway, whose focus has always been open land, especially as habitat. The performers—and you ticket buyers—will be stepping up together to help the devastated families - and you will also help show our support as one country, alongside and in fellowship with our NJ and NY area friends from the US and other countries.